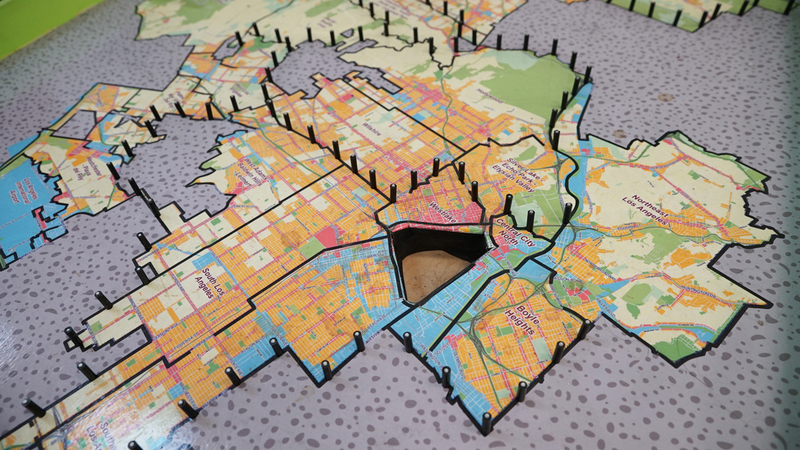 In 2016, Los Angeles began to rezone each of its Community Plan Areas, beginning with downtown Los Angeles. 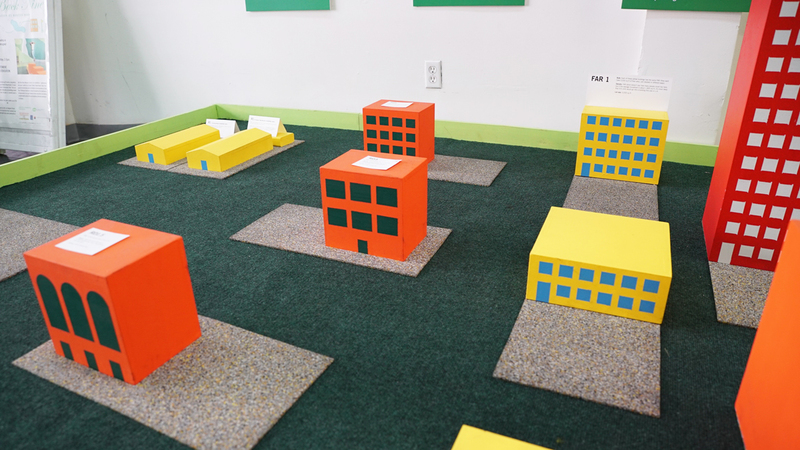 The rezoning of Downtown LA has huge ramifications for the community of Skid Row. 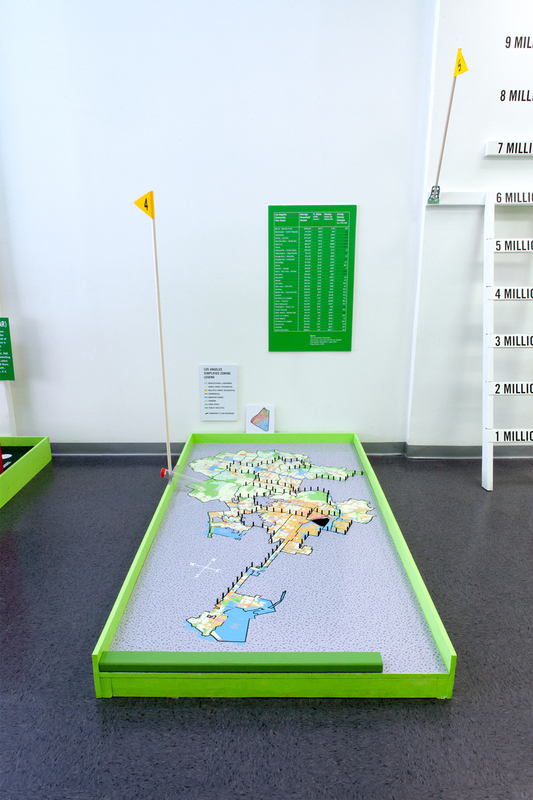 One of the city’s largest concentrations of low-income housing as well as one of the largest concentrations of unhoused people. 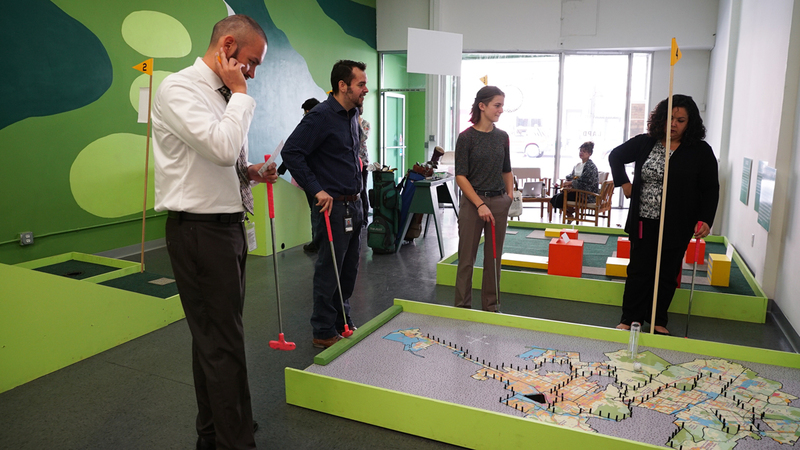 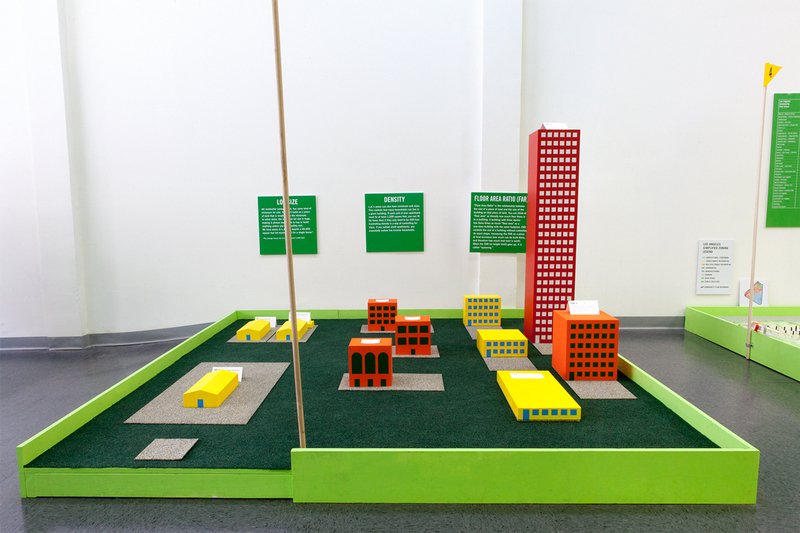 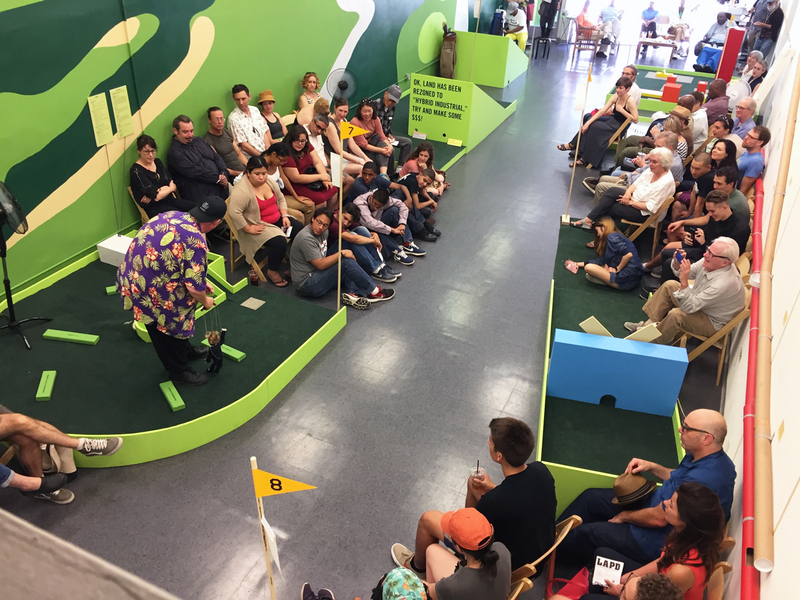 In conjunction with several other projects designed to organize and represent the viewpoint of Skid Row residents in these planning discussions, I designed and built this nine-hole golf course in collaboration with the Los Angeles Poverty Department. 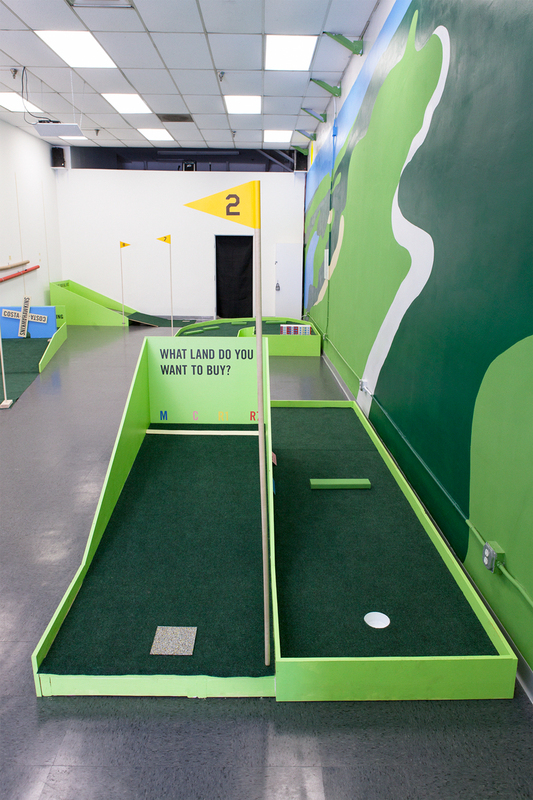 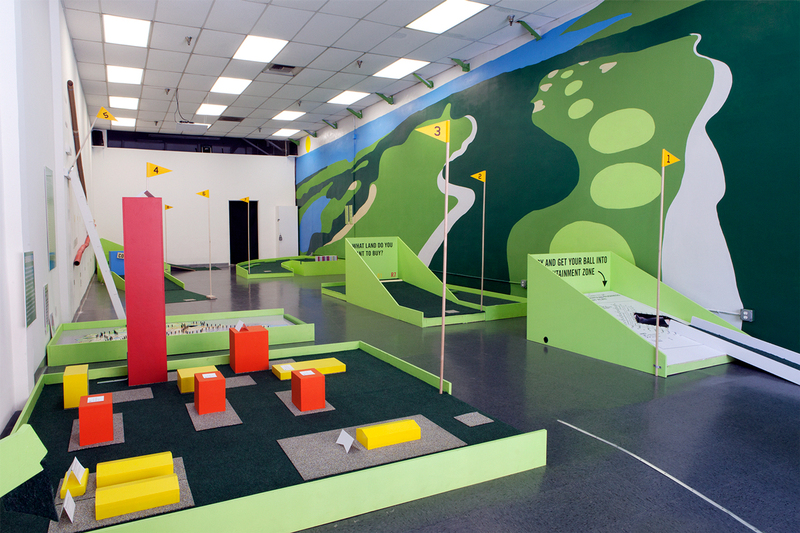 It served as the set for their play of the same title, and functioned as a playable nine-hole educational golf course. 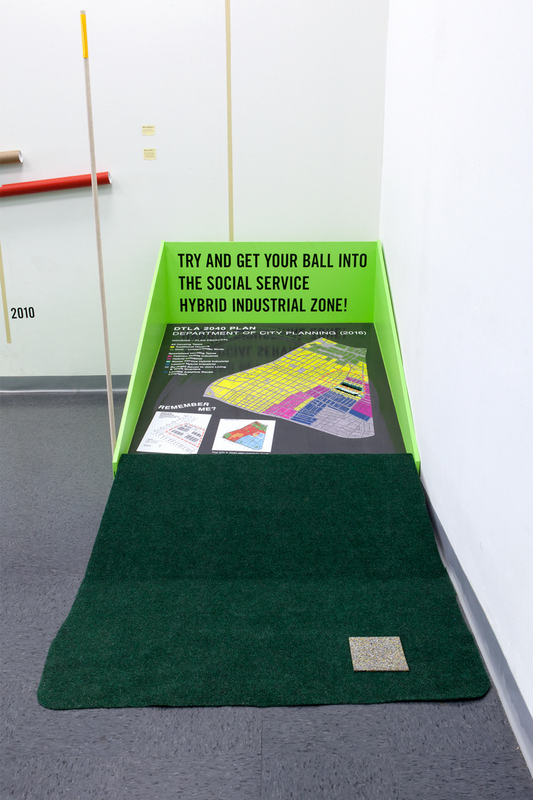 Each hole in the course tells a story about the history and future of real estate development, housing, and homelessness in Los Angeles’s Skid Row. 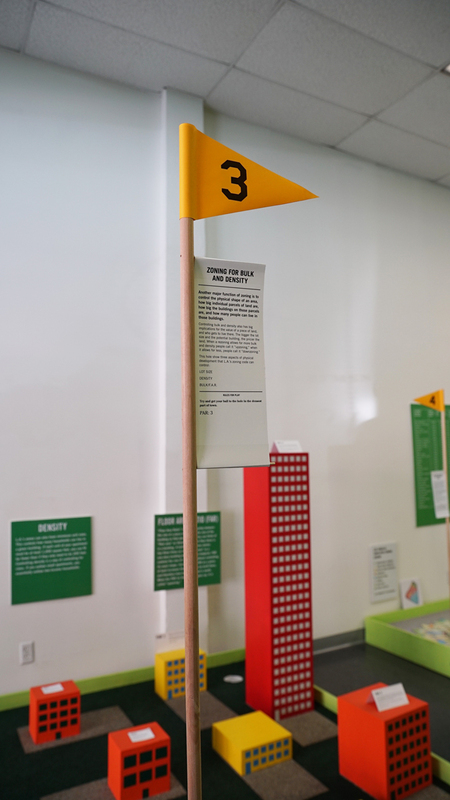 Beginning with the 1980's homelessness "containment policy" and ending with a demystification of the jargon used in the current moment's re:code terminology. 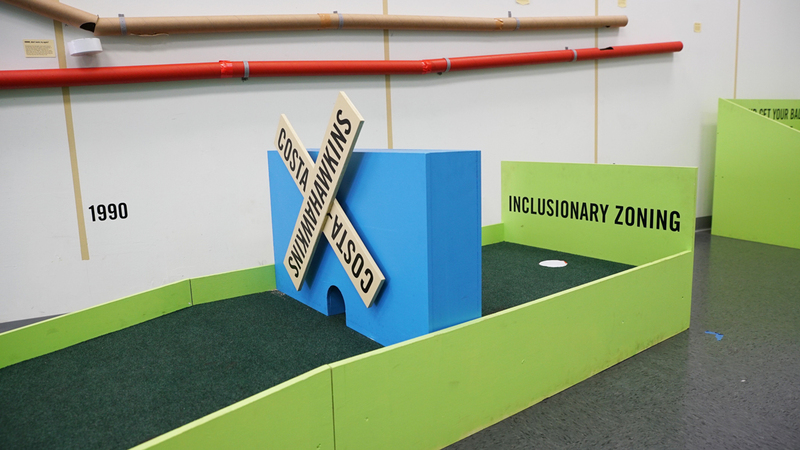 The golf course was built and designed with help from Tiffanie Tran, LeeBuild, and a veritable army of volunteers from downtown Los Angeles.